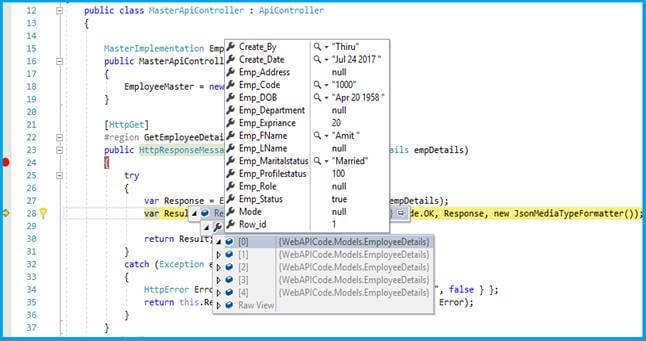 This article demonstrates how to use Web API Using SQL Helper Class with easy to use data base access in Visual Studio 2017. 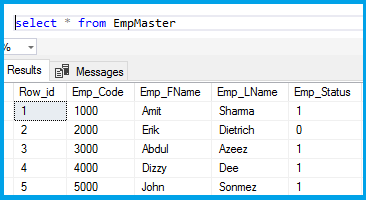 This article demonstrates how to use SQL Helper Class in Web API using Visual Studio 2017. SQL Helper class is used in Data Access Layer which interacts with database with the help of connection string provided and it contains several methods like below. And, it improves the performance for Business Layer & Data Access Layer. ASP.NET Web API is a Framework for building Web API’s on the top on the .NET framework, which makes it easy to build HTTP services for a range of clients, including mobile devices, all browsers, & desktop application. Web API is similar to ASP.NET MVC so it contains all MVC features. Go to New menu and create a new project. 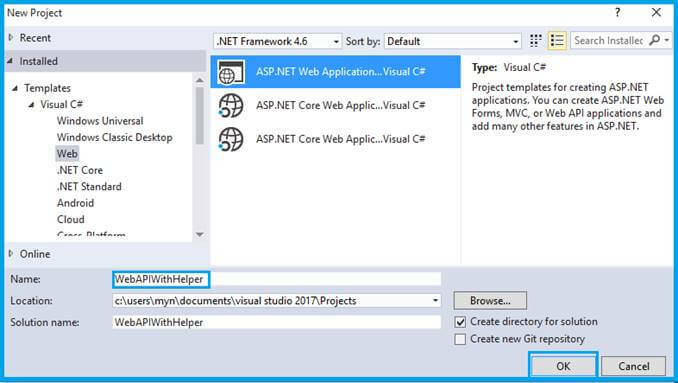 In the New Project menu, select ASP.NET Web Application on Framework 4.6. Enter the name of project in “Solution name” textbox and click OK button. Once the project is created, add new API in the Controllers folder. Right click on Controllers-> Add Controller. Now, add Scaffold & create an API Controller “MasterApiController”. Create new folder as “Helper” in Solution Explorer; then paste the below code in your class file. Follow the connection string name in web.config file. I am accessing my local DB in Web.config file. If you want to know what Reflection is, see my blog here. Create new database, Table, & Producer. Just use the below query. Simply insert some employee details in this table. Create EmployeeVM Model Class with Convert as list. Create SQL Data Access Class, "MasterImplementation" in implementation folder. 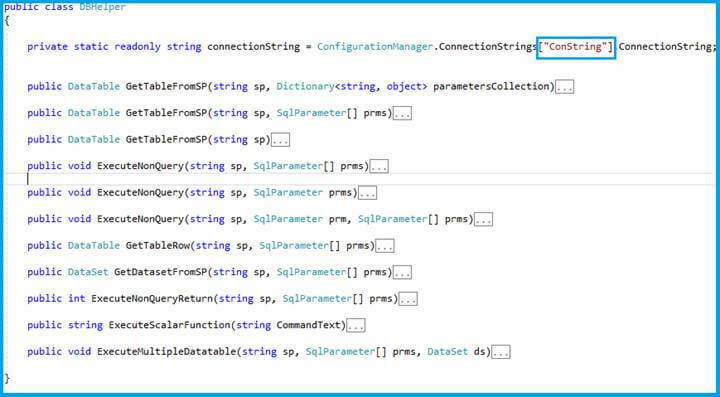 Now, you can access this class from Web API Controller. Create HTML file and set as start Page. 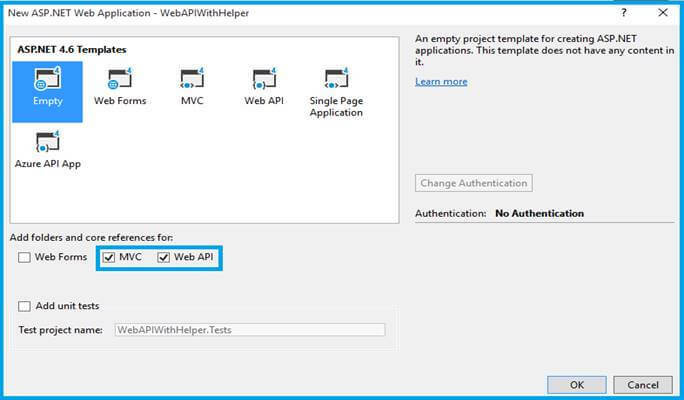 Once you run the application, Web API REST services are ready for consuming. 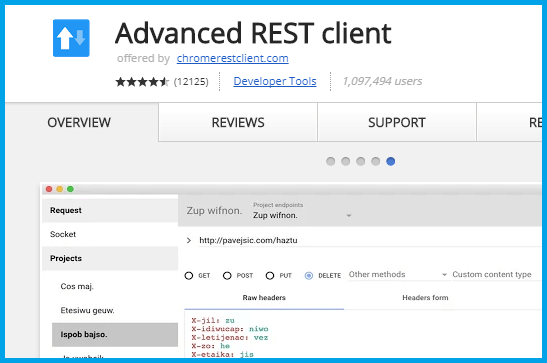 You can easily check custom HTTP Request using Advanced REST Client. After download, open it from your Chrome Apps List. Enter the correct URL and select the right HTTP verbs on the header. 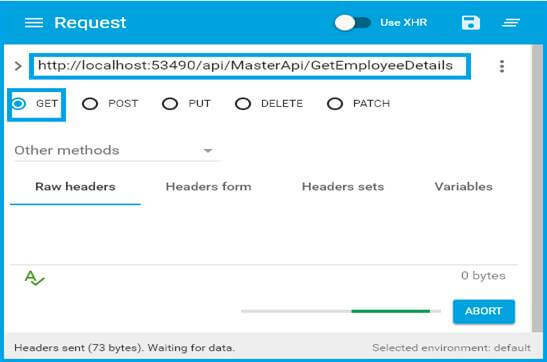 Once you've clicked on send button in this tool, it should hit the Web API Service. Finally, the Web API is working perfectly. You got result in JSON format & RESTful connection. 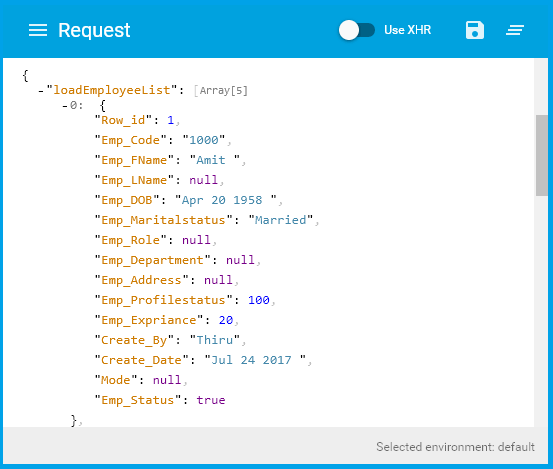 In this article, we have seen the technique of using SQL Helper class in Web API. If you have any queries, please tell me through the comments section.